I am making some new Shalom Fans! I took this one with me on my way and found much peace throughout the day. but not as the world gives! Shalom to all who are far and near! 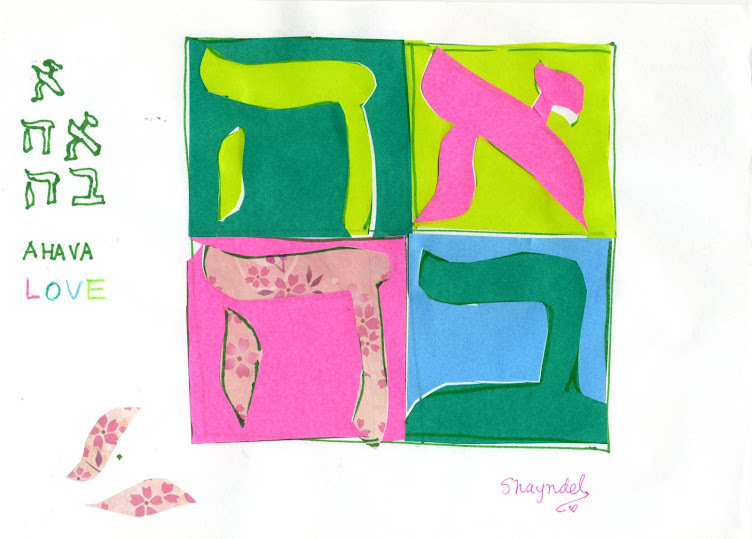 Stay tuned for more original Shalom Fans on Challah and Cherry Blossoms. Thanks for sharing. I love this verse too. Nice to hear that there are herons there too!! I didn't really see herons much until I came to Japan. It surprises me that we can see them right in the city! Have a blessed week filled with God's great Shalom! Hi Shayndel! Thank you for sharing this encouraging verse from John. There are so many times when our hearts are troubled, but the Savior speaks peace to us and calms our fears. Beautiful Shalom Fan and a heron too! God bless! Hi and Thank you Connie. Not only are your drawings lovely, but also your photos. The photo with the white heron is stunning! The fan is very beautiful! Enjoy it! I am glad to hear that, as the white heron herself was so stunning to see there, she literally stopped me in my way by her white presence there!! You too enjoy the summer days! I would like to send you a fan!! You are so blessed to see the heron right in the city. I see many herons in blog photos but not in my city. Thank you Joyful! Yes, I am thankful! I took some more pictures today and thought of you. Hopefully will post them! I have a lot of heron photos that I haven't posted somehow, I tend to stay to challah and cherry blossoms, but ought to branch out more to other topics!!! (pun intended, for cherry blossoms branches!! )Blessings and love!! ;-) I like the pun.